Have your financial requirements become more complex? Is your data coming from multiple sources? Do you face multiple budget revisions? Do you need customized reports? 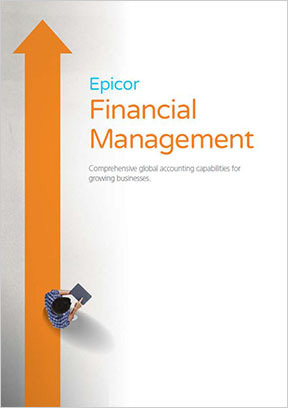 Epicor Financial Management gives you visibility into your most important financial insights so that you can make strategic decisions based on an accurate view of your business. It also streamlines business processes to give you greater efficiency throughout your organization. Set triggers to notify your decision-makers of major transactions. Track and discuss key transactions right in the system. Invoice accurately for all elements and stages of an order. Maintain detailed records of each transaction in the system. Let all your stakeholders access your financials securely via mobile devices. Learn more about how MIS ensures your ERP project success. MIS has spent over three decades developing a deep understanding of complex financial management and accounting systems such as Epicor ERP. No implementation is too challenging for us. We’re ready to help you configure your Epicor financials to meet all your financial management needs—no matter where in the world your business may take you. Not everyone understands the complexities of multi-company reporting, but MIS’s consultants have always been very knowledgeable and enabled us to focus on our business instead of worrying about the details. As our business evolves, MIS helps us leverage process improvements and provides personalized training.